WhatsApp is currently giving permanent ban to it's users found using the unofficial WhatsApp like the WhatsApp +. Though the whole ban started about two months ago when WhatsApp temporarily banned most of its users using third party apps to send message on WhatsApp. And this ban affected most of its users. 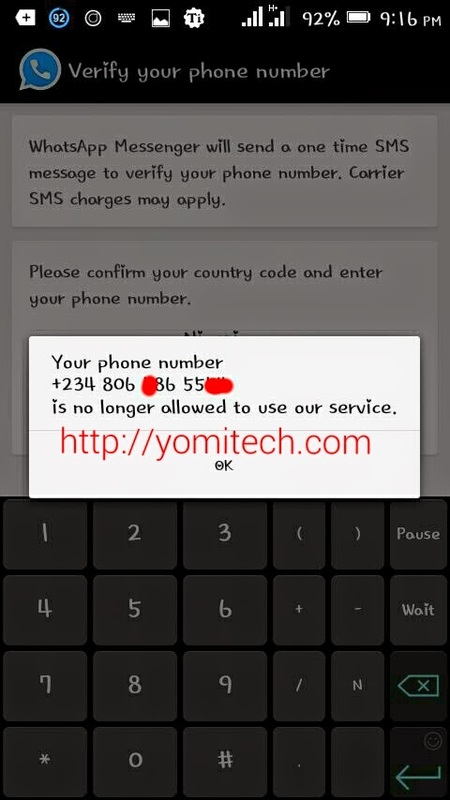 Since most users are still using the unofficial version even after the temporary ban because of its added features like themes, more emojis and many more, WhatsApp has decided to permanently ban any of it's users found using any third party application aside the official application which can be downloaded from play store. Which means if you are banned you won't even be allowed to use the official WhatsApp as your No. Will be blacklisted from the service. Though the latest version of WhatsApp plus is antiban and that gives you some level of protection from been banned, its really advisable to let go of the added features of the whatsapp plus and revert back to the official WhatsApp so as to avoid kissing WhatsApp goodbye.